We won! 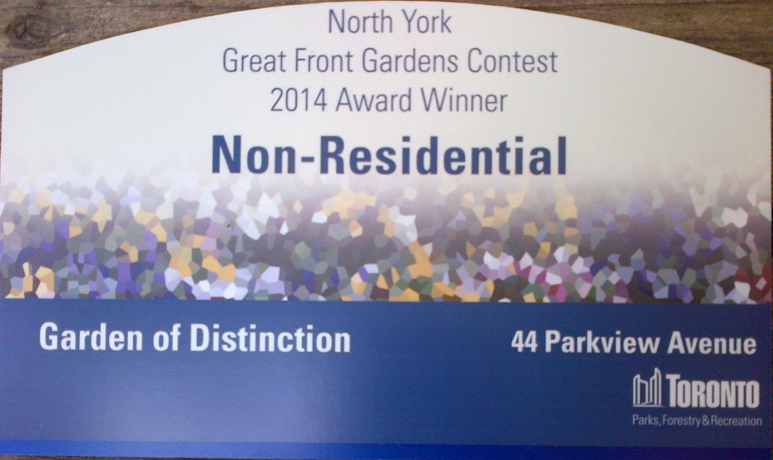 Parkview Neighbourhood Garden received an Award of Distinction in the 2014 North York Front Yard Garden Contest in the Non-Residential category. Congratulations to everyone whose vision, hard work, and participation made this possible. BRAVO PNG! We will now be entered into the city-wide Toronto contest. Stay tuned.